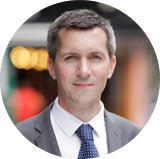 Dr Craig McCann is a specialist in the UK Prevent Strategy, the UK Channel programme, state responses to right wing extremism, counter extremism, and international CVE/PVE programming from an operational and strategic perspective. He researches, writes and lectures on state responses to right wing extremism. Dr McCann is the Principal at Moonshot CVE, a boutique start-up specialising in countering violent extremism. The company designs new methodologies and technologies to enhance the capacity of its clients to respond effectively to violent extremism, bringing fresh thinking and decades of experience across sectors to push new boundaries. Its work ranges from software development and digital capacity building, to leading global counter-messaging campaigns. He oversees operations of the London office and heads Moonshot’s programmes on online interventions. Prior to this Dr McCann served as a Police Officer in the Metropolitan Police Service in London for 14 years, reaching the rank of Detective Chief Inspector. During his service he worked in a variety of portfolios ranging from neighbourhood policing to criminal investigations. He moved into counter terrorism policing in 2010 and worked both operationally and strategically in the Police Service delivery of the Prevent Strategy. He led a range of departments including the ground-breaking Channel intervention programme for East-London, the Muslim Contact Unit and the Extremist Disruption Team within the Counter Terrorism Command. In 2013 he became the Deputy to the National Strategic Lead for Channel at the Association of Chief Police Officers (Terrorism & Allied Matters) where he led on efforts to promote national consistency in the delivery of the Channel intervention programme which included the creation of national training products and leading reviews of local service provision. He then took on the role of Head of Strategy & Policy for the national Prevent policing portfolio at the National Counter Terrorism Police Headquarters where he led on setting the strategy for Prevent from a policing perspective and worked closely with the U.K. Government’s Home Office in authoring the police Prevent statutory duty within the Counter Terrorism & Security Act 2015. Prior to leaving the Police Service he led on the national business change programme reviewing the deployment of counter terrorism policing resources across England and Wales. Dr McCann holds a Law Degree and an MA in Criminology from the University of Kent at Canterbury. His Masters research explored Islamist extremist recruitment in London-based universities. At the same university, he recently completed his PhD which explored the impact of the Government’s decision to include right wing extremism within its counter terrorism Prevent Strategy on local responses to the English Defence League.